After completing a degree in Zoology with Conservation at Bangor University in 2009, I was at a bit of a loose end. My head told me to carry on studying, to take on a Masters. My heart told me travel, to seek adventure. In the end, I listened to both. Sort of. I would say my heart was 70% responsible for my decision and my head only 30%. It wasn’t a Masters though. OK, maybe it was more like 80:20 then. 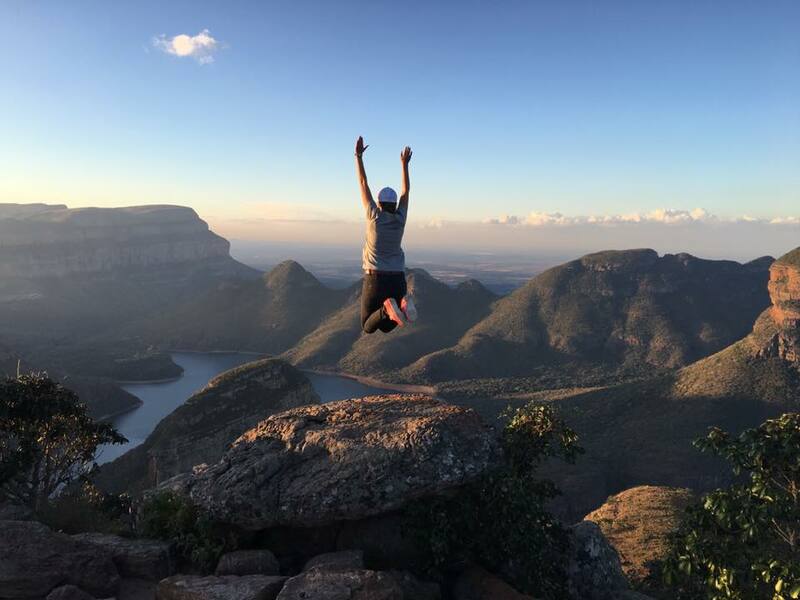 My wanderlust took me to South Africa, where I decided to embark on a 12 month safari guide training programme. I would be set to train for six months and take on a work placement for the following six. I would come out with a Field Guides Association of Southern Africa (FGASA) qualification, a fantastic tan and memories to last a life time. After that, I would return to the mud island, enrol on a Masters course and then get a proper swanky, high paying job in wildlife conservation (now there’s an oxymoron for you)! That was the plan, anyway. I type this whilst looking out of my living room window onto the rocky outcrops (“koppies”) behind my house, my neurotic border collie trying his level best to catch a rock hyrax (rock-dwelling creatures from the order Hyracoidea, that resemble over-sized guinea-pigs and their closest living relatives are, wait for it, elephants) and listening to the call of the Cape Turtle Dove. I’m still in South Africa. My gap ‘year’ turned into seven and I don’t regret it for one minute. I still haven’t got my Masters. 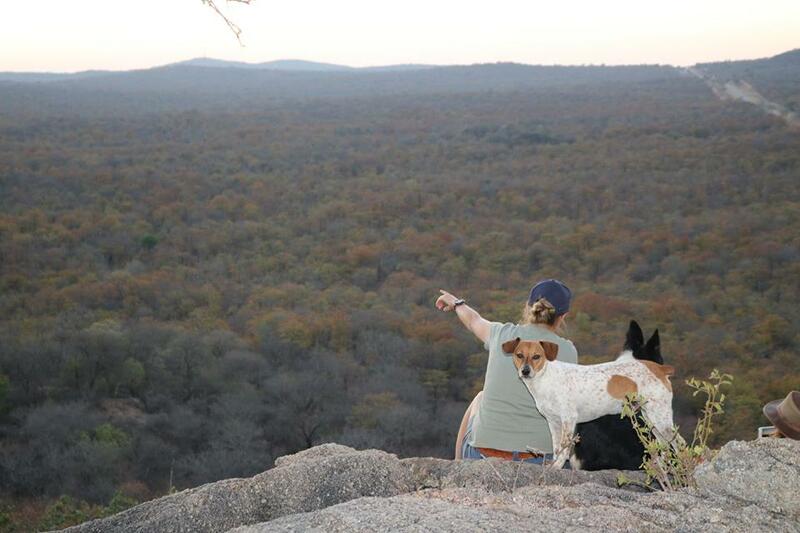 The six month training period on the safari guide course was incredible. We covered subjects such as reptiles, amphibians, astronomy, geology, cultural history, fish, invertebrates, animal behaviour and botany. We even got taught how to shoot high-calibre rifles and drive 4x4s. We studied for 4 weeks at a time and then would get a week off. I travelled to Swaziland, Mozambique, Cape Town and spent days at a time in Kruger National Park. I even kissed a hippo. Wanderlust, check. 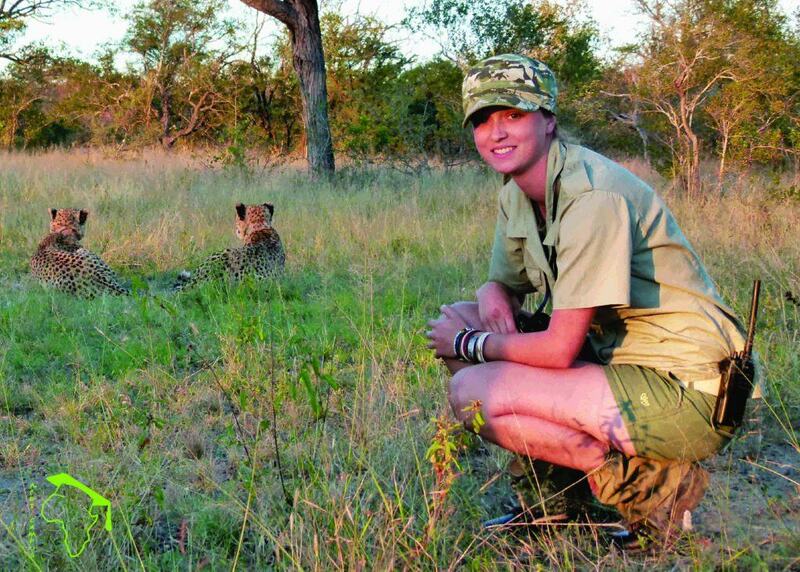 For my work placement I decided not to enter the world of a guide at a luxury safari lodge but instead chose to live with no electricity, in a dilapidated farmhouse, working as a Research Assistant on a predator monitoring programme. We took up to 18 international volunteers at a time and it was my job to guide the students out in the bush on research drives. We would monitor collared lions and cheetah and once located, we took data on their location, group composition and behaviour. The reality of my situation sunk in when I encountered my first elephant herd. Goodness, gracious me. I was responsible for these people, to keep them safe, to put everything I had been taught into practice. I over-thought and over-dramatised the elephant’s behaviours in my head, convinced they were about to charge. No, they couldn’t have been more relaxed. I had a lot to learn. The six month placement was one adventure after the other. 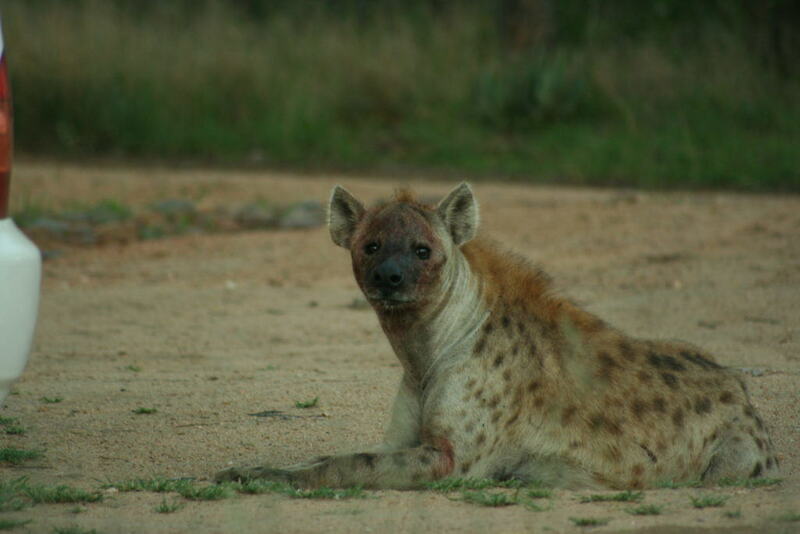 Spotted hyenas used to walk around the house at night; one even came in the kitchen once. The alluring smell of cooking bacon is apparently irresistible to many species on this planet. I woke up countless times to the deafening sound of hyenas whooping outside my door. On many occasions, I would run out in the middle of the night, in my PJs, chasing them away, hurling stones in their direction. This, by the way, is not cruel. My aim is terrible. They were becoming a real nuisance. One morning a colleague was awoken at 4am by a wildebeest knocking on his door. Yes, a wildebeest knocking on his door. Four hyenas had cornered it and it had backed itself up into his doorway for safety. He had got up in his sleepy state to answer the door. Armed with a torch, he was greeted by a wildebeest’s bottom and four hyenas staring at him through the darkness. He promptly closed the door and phoned myself and a colleague for assistance. “DO NOT walk here”, he warned. My colleague and I climbed in a vehicle and drove the 15 metres to his door. Wow. He wasn’t lying. The hyenas took it in turns to approach the wildebeest, each being greeted with a potential life threatening swipe of horns. 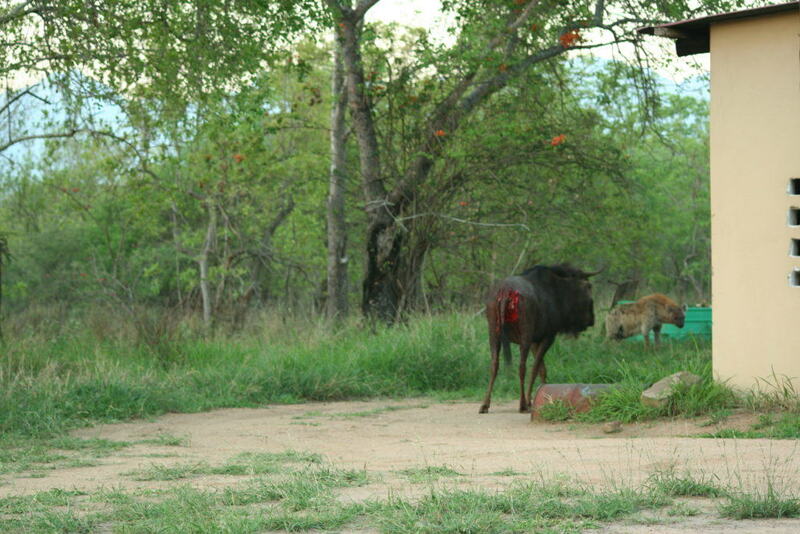 The wildebeest already had a huge chunk of flesh out of its hind quarters, which must have happened during the chase, before the wildebeest had found the safety of a doorway. We watched, dumbfounded, for at least 30 minutes. As the sun began to rise, the wildebeest gained confidence as his sight restored. He made a break for it through the bush. The hyenas didn’t even bother to follow. They were clearly bored of their game and slowly walked off in the direction of their den. We gave Dawie the OK to come out of his room and made him a strong coffee with a little something extra to calm his nerves. On another occasion, we woke up to find the vehicle seats ripped to shreds. They had been taken off of the game viewing vehicles the previous day and put on the ground next to the cars. In the morning, we found pieces of foam scattered around the parking area. It didn’t take a tracking specialist to work out which species had been responsible. Apparently the lion pride had paid a visit in the night and been attracted to the smell of years of sweaty bums that had graced those seats. Possibly the scariest part, this happened less than 20 metres from the main living accommodation. Not one of the 18 volunteers or the six staff members had woken up. After my six month placement, I was offered a full time position with the company, as their Science Coordinator. I was responsible for ensuring data integrity, organising specific research focuses and compiling reports. I stayed with them for a further two years and racked up enough stories to write a book. Maybe I will, one day. Since leaving there, I have tried to learn more about the entire ecotourism industry surrounding private game reserves in South Africa. I became a Reserve Assistant, learning about reserve management techniques and then a Lodge Manager for eight privately owned lodges on a game reserve. Now, I am the Director of my own company, Afri-Campus, which specialises in excursions to South Africa for educational institutions and individual travellers. We offer a unique trip for school students to sponsor the darting and fitting of a satellite tracking collar to an animal such as an elephant, lion or rhino. This once in a lifetime opportunity allows students to get up close and personal with one of Africa’s majestic creatures, whilst assisting in the effective management of that animal. Once home, the students have the ability to track their animal online from the classroom and produce maps and reports. My life has taken some unexpected turns but I wouldn’t change it for the world. There is something new to learn every single day in the bush, whether it be the nesting behaviour of a red-headed weaver or how to stop a charging lion on foot . I may not have the extra letters after my name that I always thought I would, but I have a life that leaves me captivated and awe-struck every single day.